We are team of accountants, wealth managers and business advisers with over 60 years of experience in looking after small and medium sized businesses and their families. We have evolved many times over the years, but what has remained constant is our passion and commitment to finding solutions that help our clients achieve their financial and lifestyle goals. As a successful and dynamic business we understand the challenges you face, from making effective business decisions, to achieving your financial and lifestyle goals. We work with you to establish a financial roadmap to help you reach your potential sooner. Simple advice that makes life easier – that’s our commitment to you. We prioritise your goals, which gives you something concrete and meaningful to strive for. It helps you connect your investments to what really matters: your family, your future experiences, and your personal needs. We plan, manage risk, help minimise tax costs and deliver wealth strategies that help you reach your goals sooner. We take pride in our focus to offer you advice based on your goals, not product sales. This strengthens our relationship and encourages greater transparency. 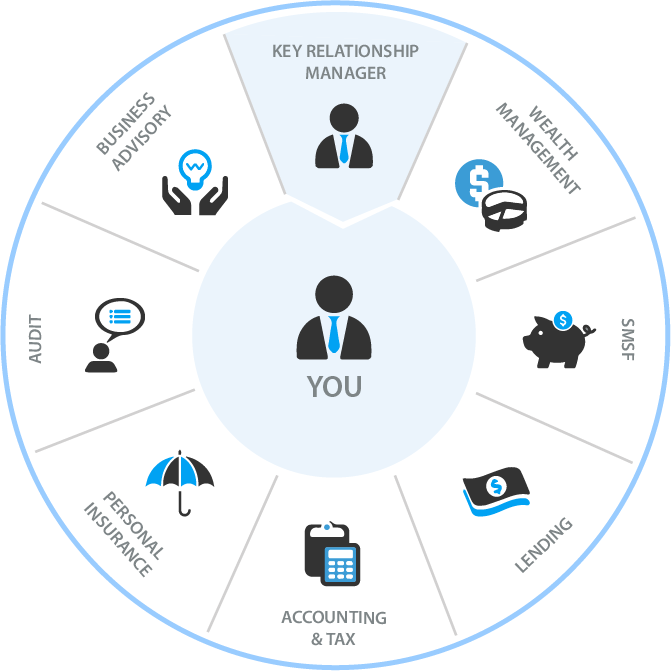 We help take the complexity out of managing your financial life. We use our broad expertise to guide you whether you are purchasing a home, investing for the future or transferring wealth between generations.